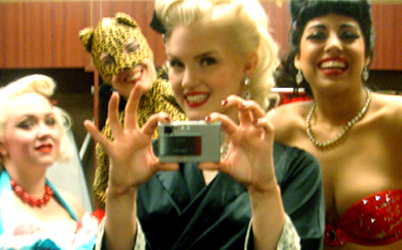 Black Cat Cabaret at London Wonderground reviewed by Miss Glory Pearl. 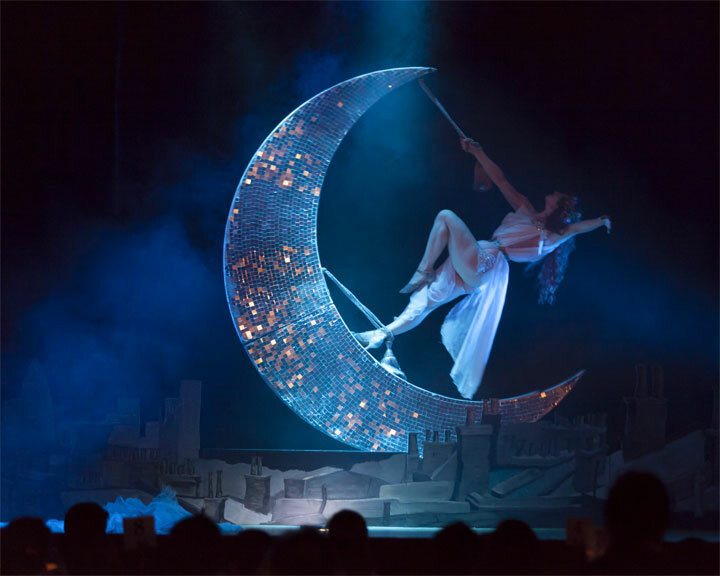 After a successful run at Café de Paris and scooping the 2014 London Cabaret Awards ‘Best Production’ prize, Black Cat Cabaret crosses the river to the Wonderground Spiegeltent, promising a ‘uniquely theatrical cabaret spectacular’. 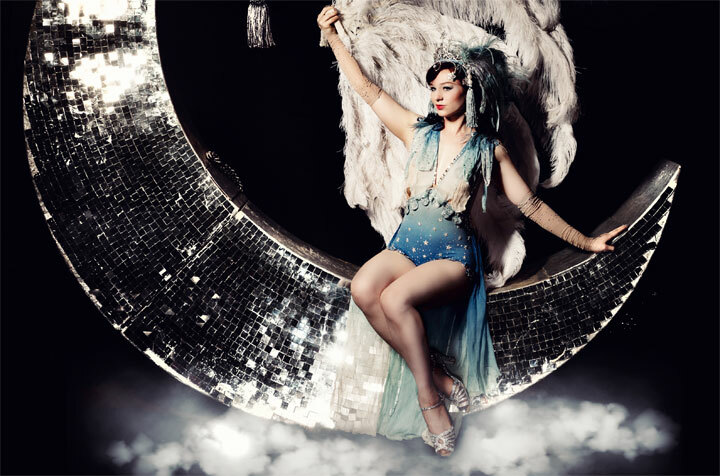 The cast’s heritage is impeccable, featuring a generous dose of circus alongside the cabaret, and we are invited into a world of fin-de-siècle splendour governed by the heavenly goddess of the moon, Vicky Butterfly, with the ever-so-earthly Dusty Limits at the helm. Expectations matched the calibre of the talent in height, but I left a little disappointed, feeling that, whilst ambitious and full of joyful moments, the sum was no more than equal to its parts. The limitations of the space and a few technical issues contributed in measure to this feeling but there was more to it than that; the show felt more than a little incongruous at times, leaping in and out of the absinthe-soaked atmosphere of the 1880s at will and ultimately failing to draw me into that world as promised. I acknowledge that circus and cabaret are different genres, but circus excels in creating immersive worlds that draw audiences in, ask them to participate, and ultimately leave them bereft at parting. Whether it’s Spain’s Circus Klezmer, Sweden’s Circus Cirkör, or even the Australian cast of the 2012 London Wonderground smash hit show Cantina, while we are in our seats, we are transported to another world. Granted that is always going to be harder to pull off when one is incorporating pre-existing acts in a show, but while there was clearly some attempt to draw these acts into a cohesive whole, this was only partially successful. The nature of the space provided some challenges: Vicky Butterfly’s incredible mirrored moon prop was set right at the back of the stage and ill-lit, leaving her in shadow at times; the shape of the stage and the lack of raked seating made it difficult to see what was happening upstage when some of the cast were downstage; and the same was true when the cast took to the floor – three rows back and we couldn’t see them at all. All of that aside, there were some terrific acts. The evening kicked off with Dusty Limits telling us about the inspiration for the show, the original Black Cat cabaret of 1880s Paris, which felt a little laboured in truth. Limits is one of the most accomplished performers working in cabaret today; his easy wit, his wonderful singing voice and his magnetic stage presence make it impossible to ignore him. However, as our host and guide in the world of the Black Cat, I was left wanting more, to be led and ultimately corrupted by his debauched narrative. A stronger, more didactic presence would ease the audience’s path through this world facilitating the suspension of disbelief. Besides, you can never have too much Dusty Limits. Another act I would have liked to see more of was Tom Baker. 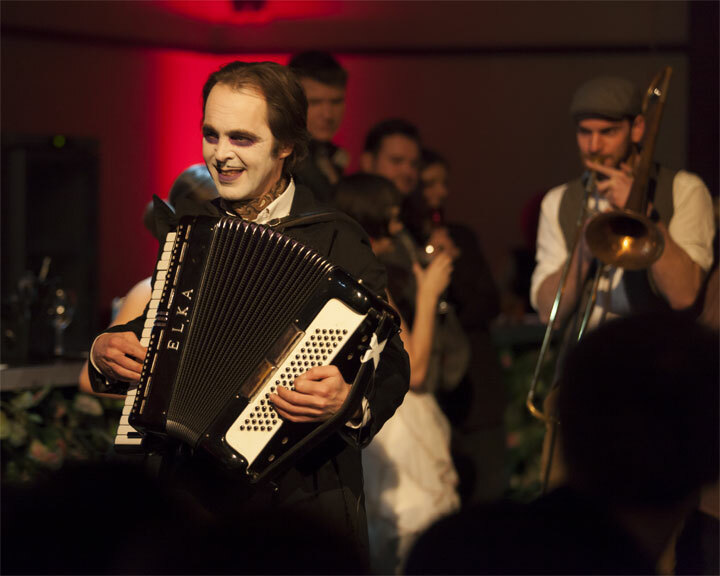 His accordion playing suited the ambience down to a tee and when he accompanied the band, the resulting music was evocative and infectiously entertaining, although his solo spot was somewhat undermined by his fellow cast members’ attempts to hold up boards with song lyrics on them in a curious Subterranean Homesick Blues fashion. My final disappointment was Lili La Scala’s opera act. As a trope, undermining one’s talent is familiar to most audiences. The joy of such a performance for the audience is in sharing the joke; we know the performer is only pretending to be less skilled than they actually are. The payoff is showing us the full extent of their talent, and the trick is balancing these two elements. La Scala’s gift is prodigious but the balance in the act was off; too much subversion, not enough pure voice, and I was left confused by her characterisation as well. I wanted her to come back onstage and finish the job, share with us the full force of her remarkable voice, but sadly it was not to be. By contrast, Cabaret Rouge’s presence throughout the show, with the exception of some half-hearted walkabout as we took our seats, provided a robust evocation of time and place. Their crisp and imaginative routines were a delight, particularly their Degas-inspired ballet piece, which blended admirable technique with verve and attitude. The circus acts were also of exceptional calibre: cyr wheel from Jo Moss, Katharine Arnold and Hugo Desmarais‘ sublime aerial cage act (from La Soiree), fire from Missy Macabre, and hula hoop from Jess Love. I’m not a fan of hula hoop on the whole but Love was the stand-out act in the show for me, balancing technical skill with character and comedy; just adorable. Vicky Butterfly was her usual other-worldly self, the epitome of elegance, her passion for the aesthetic of fin-de-siècle Paris evident throughout. As designer of the show she had clearly exerted influence where possible, but perhaps that only served to highlight the pre-existing musical and costume choices of some of the acts. More Butterfly would have been welcome as well; she is a huge talent and the best person to express her vision. It was obvious the show had been a labour of love. At times it evoked the heady, bohemian world it sought to take us to but not consistently enough to convince. However, as a collection of glittering, skilful moments, Black Cat Cabaret offers a thoroughly entertaining ninety minutes. Reviewed by Miss Glory Pearl. 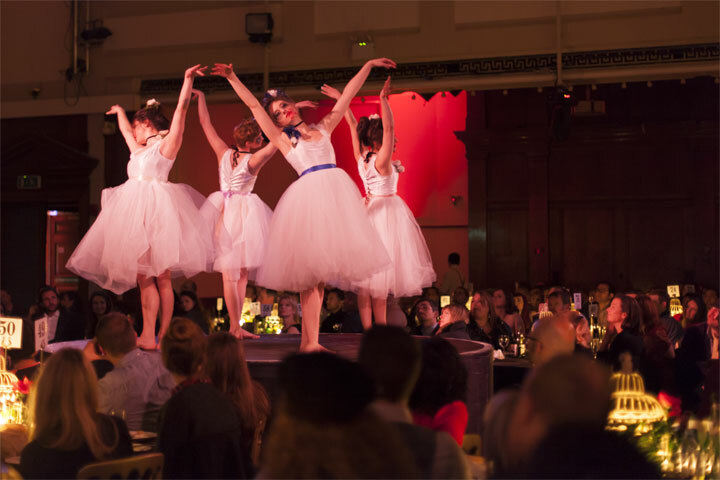 Black Cat Cabaret at London Wonderground: 20th June – 26th September (£19.50). Book Tickets.